Antiquities, U.S. Department of the Interior, National Park Service, Washington, DC, 1958. 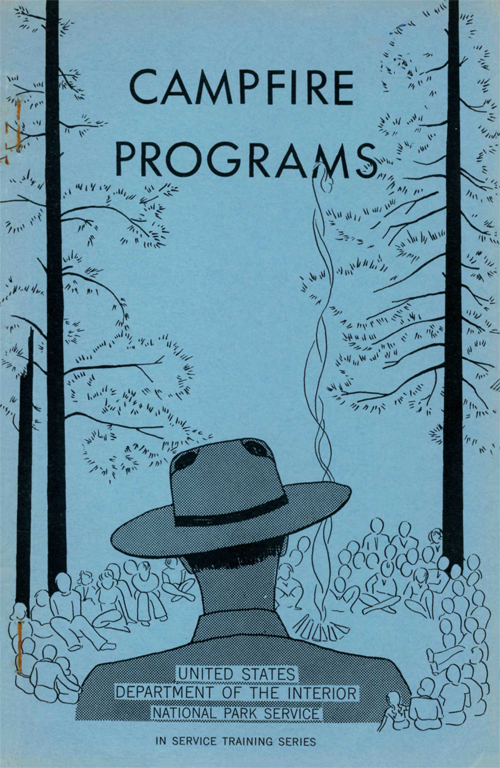 Campfire Programs, H. Raymond Gregg, U.S. Department of the Interior, National Park Service, Washington, DC, 1955. 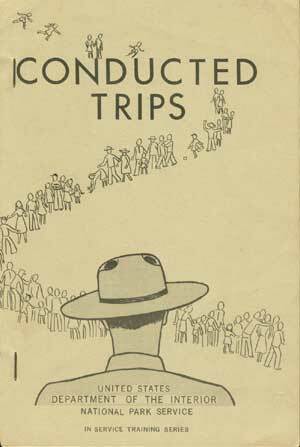 Conducted Trips, Howard R. Stagner, U.S. Department of the Interior, National Park Service, Washington, DC, 1954. 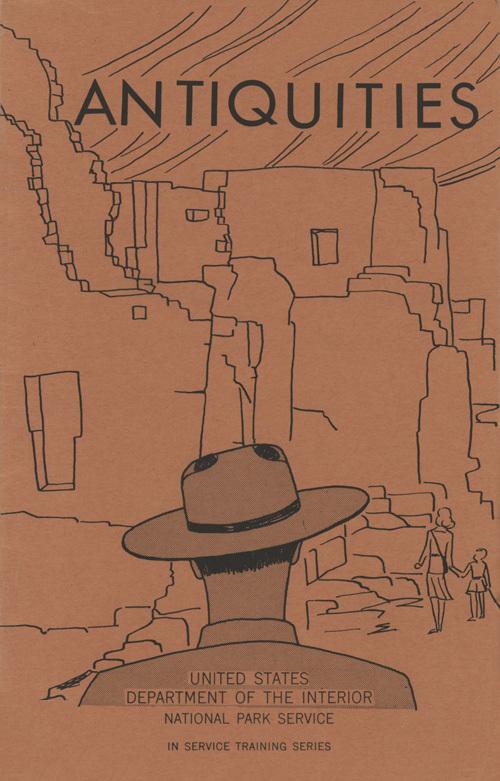 Conducted Trips, Howard R. Stagner, U.S. Department of the Interior, National Park Service, Washington, DC, 1955. 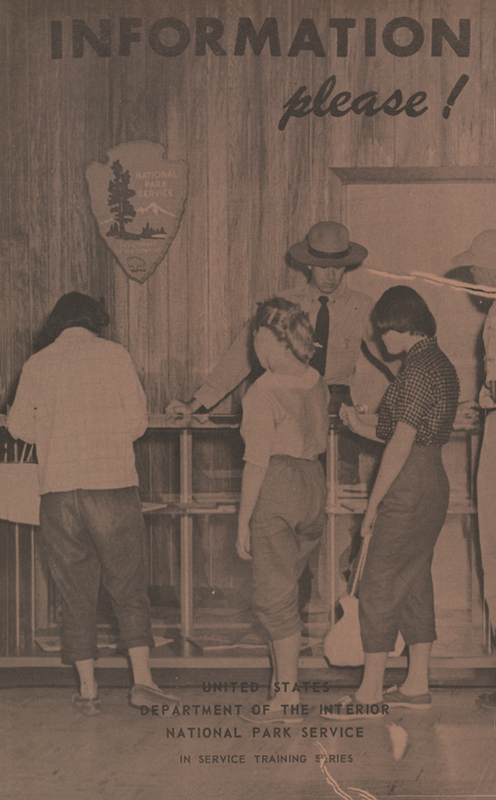 Employee Handbook, U.S. Department of the Interior, National Park Service, Washington, DC, 1958. 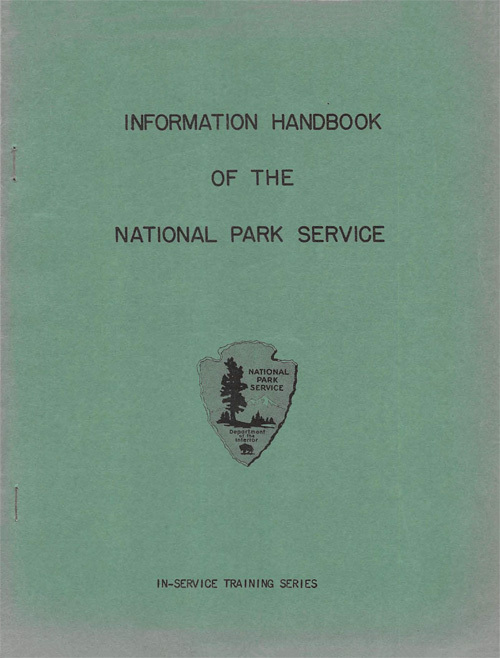 Information Handbook of the National Park Service, U.S. Department of the Interior, National Park Service, Washington, DC, c1954. 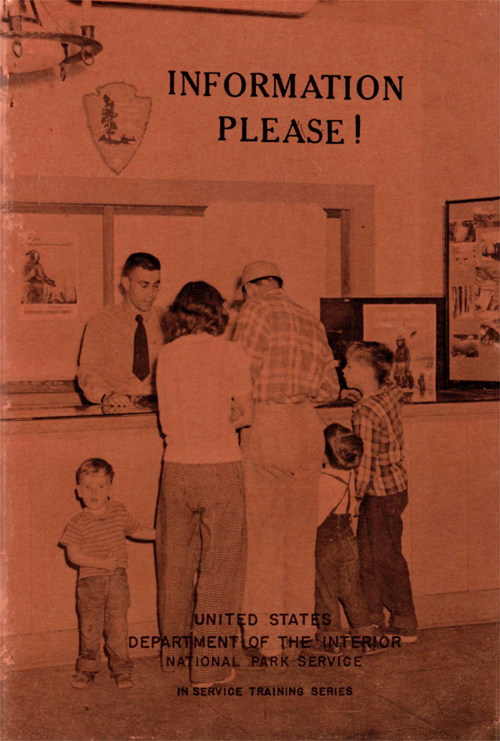 Information Please, Ralph H. Anderson, U.S. Department of the Interior, National Park Service, Washington, DC, 1955. 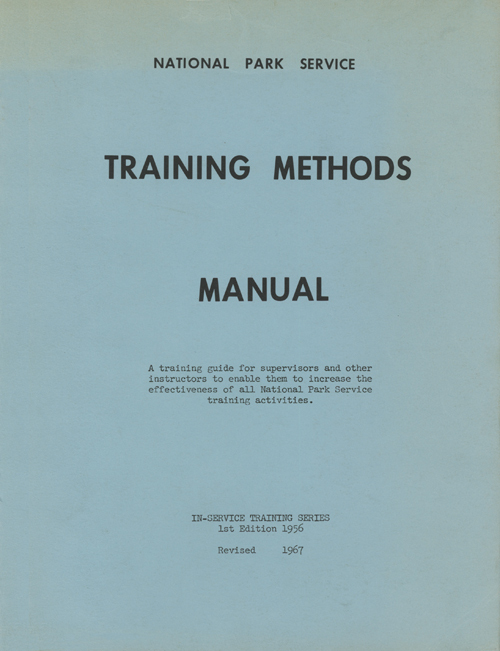 Manual of Training Methods, Frank Kowski and Julius Eitington, U.S. Department of the Interior, National Park Service, Washington, DC, 1956. 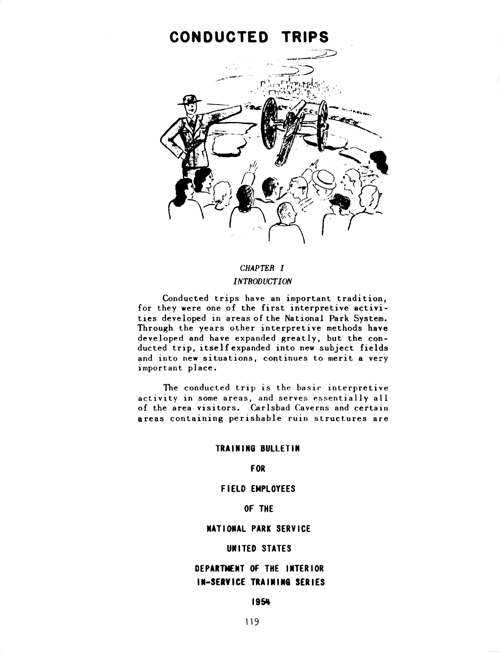 Training Methods Manual, Frank Kowski and Julius Eitington, U.S. Department of the Interior, National Park Service, Washington, DC, 1967. 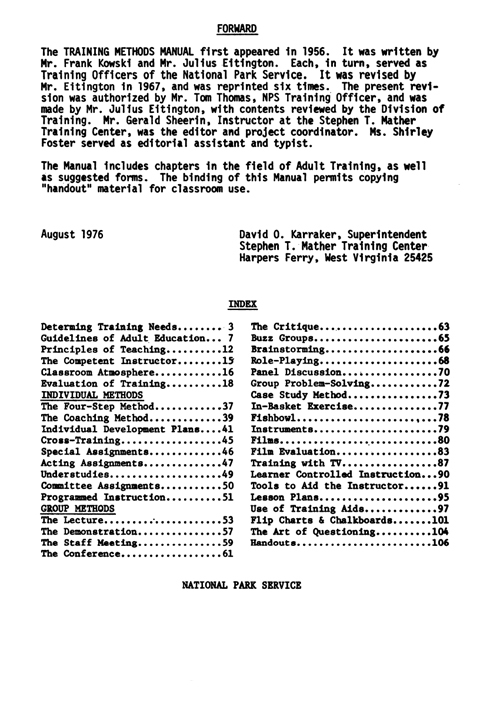 Manual of Training Methods, Julius Eitington, U.S. Department of the Interior, National Park Service, Washington, DC, 1976. 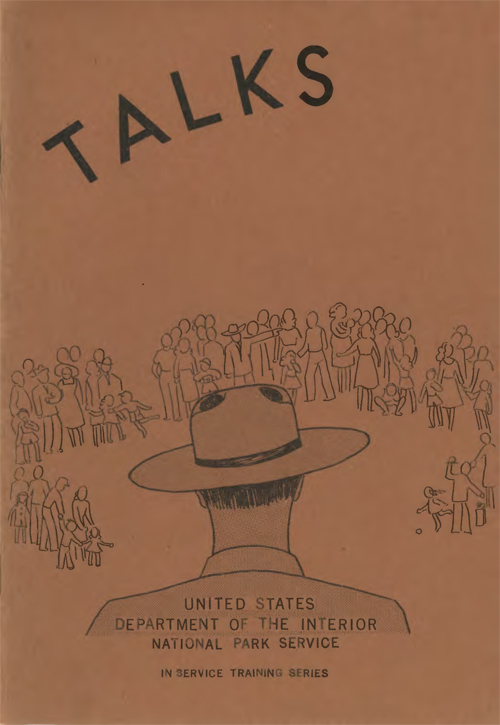 Talks, Howard R. Stagner, U.S. Department of the Interior, National Park Service, Washington, DC, reprint 1953. 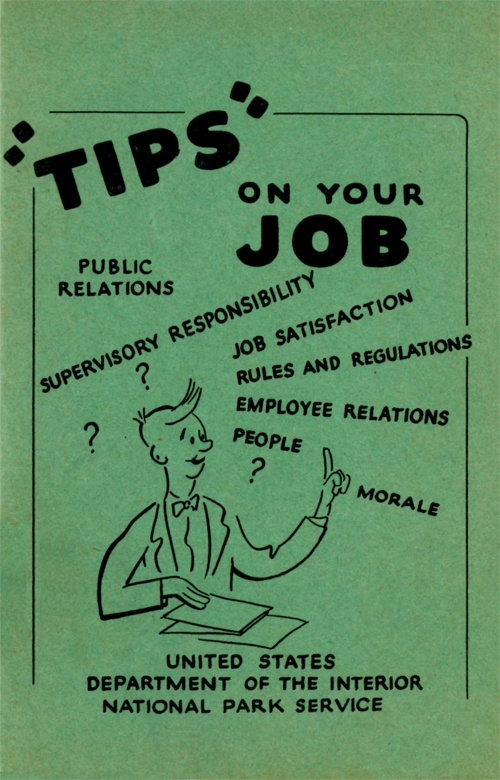 "Tips" On Your Job, U.S. Department of the Interior, National Park Service, Washington, DC, reprint 1952. Campfire Programs, Douglass Hubbard and William W. Dunmire, U.S. Department of the Interior, National Park Service, Washington, DC, rev. 1968. Keep It Alive!, William Kennon Kay, U.S. Department of the Interior, National Park Service, Washington, DC, 1970. Keep It Alive!, William Kennon Kay, U.S. Department of the Interior, National Park Service, Washington, DC, reprint 1975. Say, Ranger..., Albert C. Manucy, U.S. Department of the Interior, National Park Service, Washington, DC, 1968. 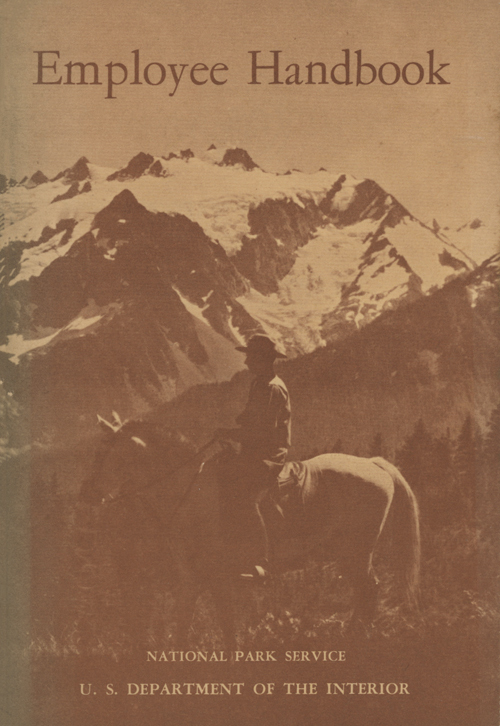 Say, Ranger..., Albert C. Manucy, U.S. Department of the Interior, National Park Service, Washington, DC, reprint 1975. Talks, David D. Thompson, Jr., U.S. Department of the Interior, National Park Service, Washington, DC, rev. 1968. Talks, David D. Thompson, Jr., U.S. Department of the Interior, National Park Service, Washington, DC, rev. 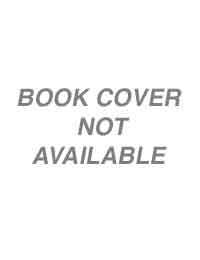 1968, reprint 1975. Yours To Preserve, Albert Manucy, Nan Rickey, Franklin G. Smith, et al., U.S. Department of the Interior, National Park Service, Washington, DC, 1969. Yours To Preserve, Albert Manucy, Nan Rickey, Franklin G. Smith, et al., U.S. Department of the Interior, National Park Service, Washington, DC, reprint 1975.